A cool, contemporary metropolis, Manchester is the undisputed Capital of the North. A fantastic destination for any treasure hunt, this once industrial city has reinvented itself as a modern European city with the warmth and atmosphere of a village. 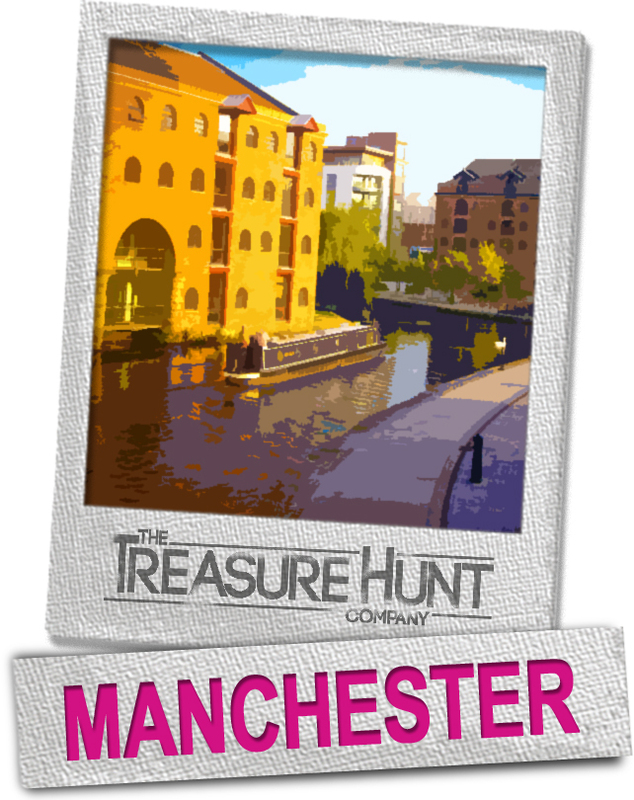 Being close to Liverpool, Leeds, Blackpool and Bolton makes Manchester ideally located to host your next treasure hunt adventure in the North West. In order for a hunt to be interesting and engaging as well as fun, the destination where it’s held also needs to be interesting, engaging and fun…. that’s why Manchester fits the bill perfectly! The third largest city in the UK is full of first-class attractions for a top treasure hunt. Meet characters at Victorian buildings; take themed photos of you and your team and acquire the naffest souvenir in this free spirited metropolis, just remember to collect as many points as possible along the way!